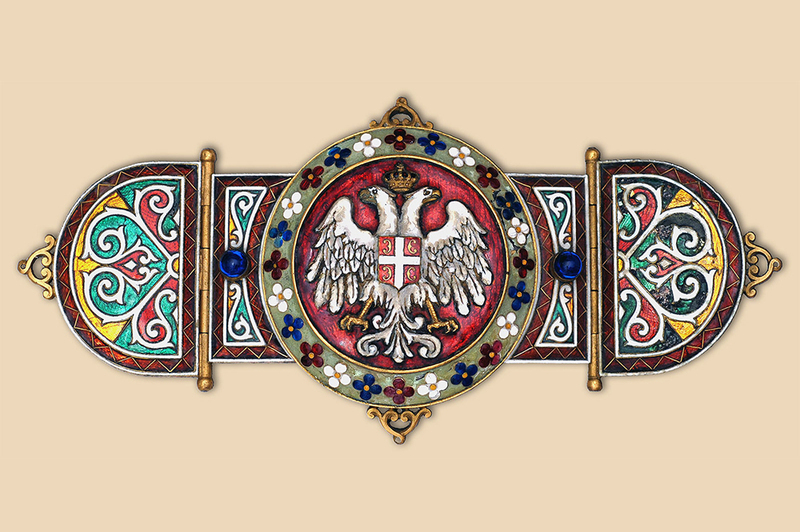 The Royal Regalia of Kingdom of Serbia and the Kingdom of Yugoslavia were made in 1904 for the Coronation of King Peter I. The Coronation coincided with First Centenary of the First Serbian Uprising lead by Karageorge Petrovich. King Peter I wanted to commemorate his Grandfather and Founder of the Dynasty in a special way. 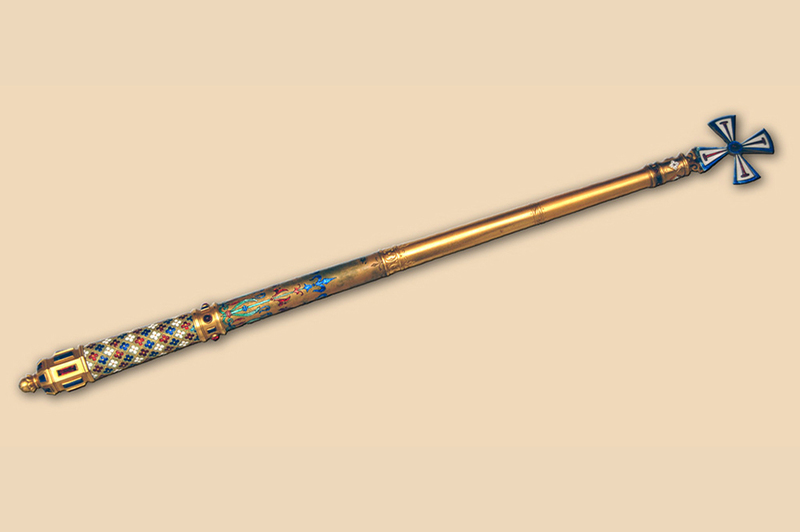 The architect Mihailo Valtrovich a Member of the Royal Academy was given the task to design the insignia provided that the material would be from the of Karageorge’s canon. 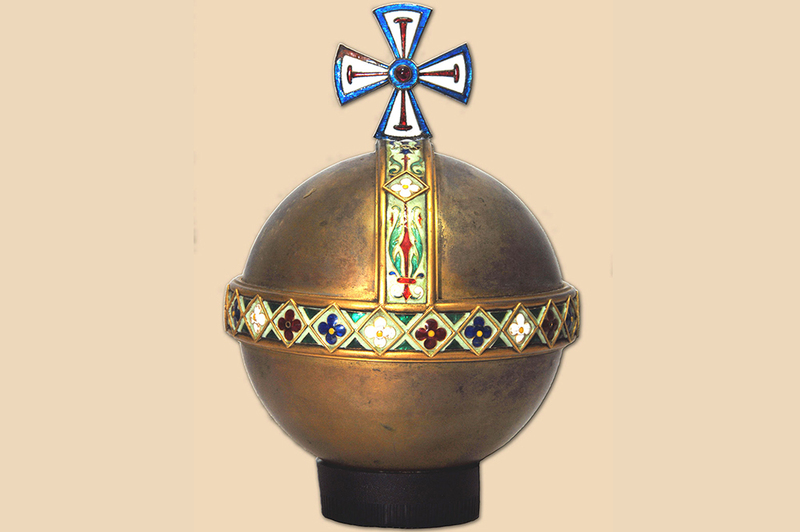 King Peter I favoured the idea that the Romanians had when deciding to cast the Royal Crown for the Coronation of King Carol I from the iron of captured Turkish canon. The jeweler’s “Falize Frères” made the Regalia in Paris. 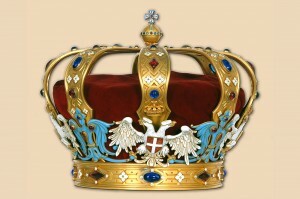 The Coronation Ceremony took place in Belgrade in September 1904. 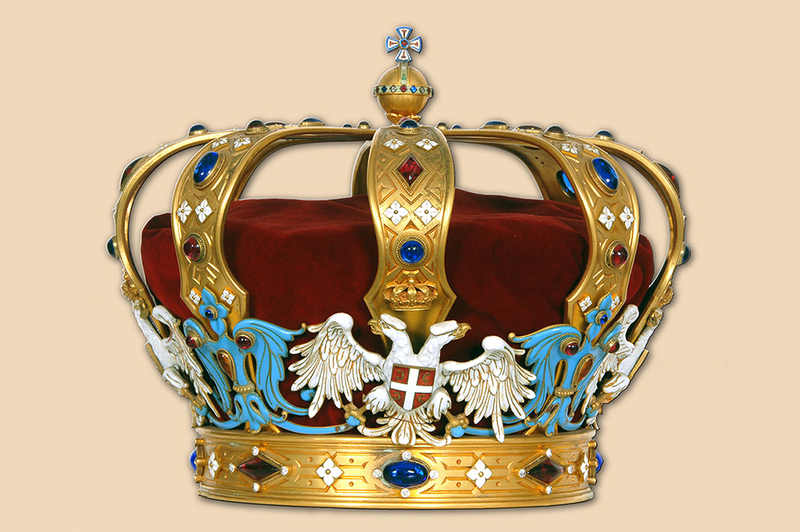 The Regalia consists of: The Royal Crown, The Scepter, The Orb and Royal Mantle. 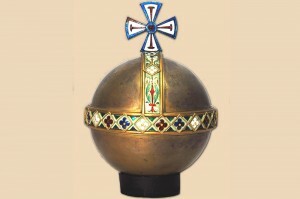 The Crown, the Scepter and the Orb are decorated with semi-precious stones from Serbian mines and with enamels in the national colours (red, blue and white). The Royal mantle is made of purplish-dark red velvet embroidered with gold thread and lined with white ermine. 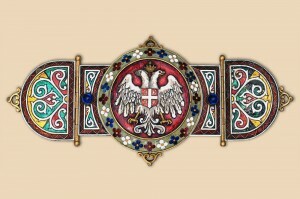 It was fastened with a special Clasp embellished with a double-headed eagle. 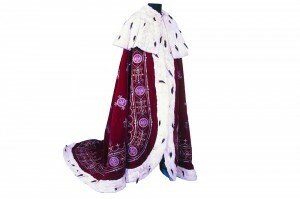 Today, the regalia are in the Historical Museum of Serbia, in Belgrade. Until 1904 they were at the altar of the Royal church of St. Andrew the First-Called which is at the Royal compound in Dedinje.